Benessere Beard Balm provides you with just the right conditioning you need for that well-groomed beard. Immediately moisturizes, conditions, repels dandruff and keeps your beard soft and shiny. The blend of conditioning natural butters, oils, and essential oils creates the right balance of moisturizers and conditioners for the face. Benessere Beard Balm is quickly absorbed into your beard and skin and does not leave a greasy feeling. The unique blend with the wood scent of Cedar is specially formulated for your beard and skin, as is antiseptic, antifungal and ideal for oily skins. 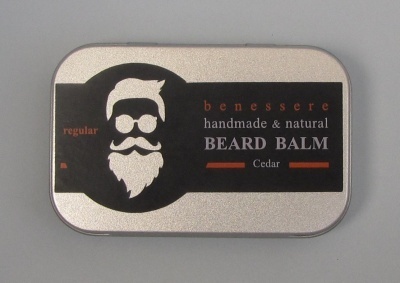 The Benessere Beard Balm will leave your beard looking and feeling healthier. 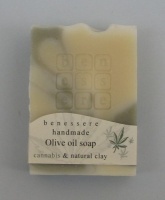 Ingredients : Natural bee wax, cocoa butter, shea butter, cannabis seed oil, sea-buckthorn (hippophae) extract, essential oils blend. Never contain artificial colours, synthetic fragrances and animal fats.